This is an intriguing piece that at times feels claustrophobic as we follow the journey of Marcel, a man trying to escape from the approaching Germans. The style of the writing is rather internalised, drawing the reader into the world of the people in the train carriage. We see right into Marcel's thoughts from the very first sentence and we never leave his side for the rest of the novel. The pacing was steady, but never plodding, and, while a number of major events do take place in the story, it is more a character study than an action-driven piece. The prose in this piece is at times poetic and yet retains a realism that makes the end of the novella all the more stark and shocking. This book would suit lovers of literary fiction who are looking for a quick and easy read to while away an evening, but who also want something to think about as they turn the final page. Hey Nicki! 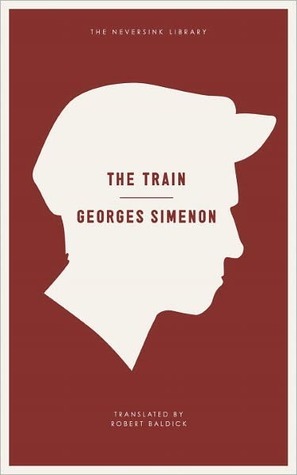 I just read THE TRAIN too and I really, really liked it. I think you're right about it being more of a character study than an action-driven story. I really fell in move with Marcel (and Anna too!) throughout the book. I'm glad you liked it!